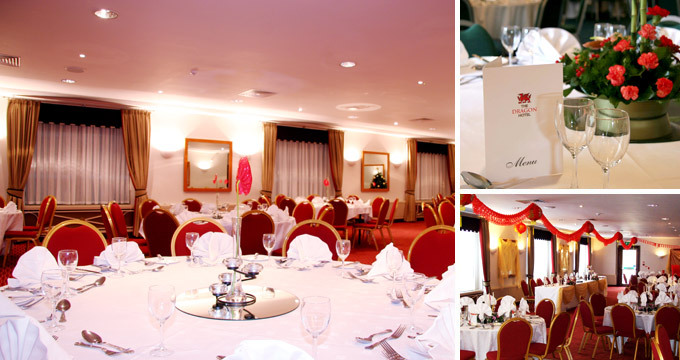 The Pembrey Suite is The Dragon Hotel’s largest private suite and is perfect for weddings, family celebrations and large dinners, with metres of wide open space and no visibility restrictions. This suite contains its own bar and dance floor too, keeping all your guests together in one place. The Pembrey Suite holds a licence for Civil Marriages.